Wow, what a webinar! To get immediate access, simply purchase a ticket for the recorded package & follow the instructions to download the recorded value package straight away. Easy! Never have there been so many views on nutrition, and the hottest dietary topic is carbohydrate. Is low-carb eating the latest diet fad or the future for reducing obesity and increasing wellbeing? The simple aims of this live webinar event are to update your nutrition knowledge and know-how and your opinion on low-carb diets. All in simple language and without food industry sponsorship. Whether you are a dietitian, nutritionist, doctor, fitness professional, health advocate or consumer, satisfy your curiosity with a ticket to this special live event. And if you can't make it live, choose the recorded option below. Definitions of a low-carb diet – How many grams of carbohydrate? Obesity and metabolic disorders - Where do low-carb diets fit? Nutrition confusion – Why can’t the experts agree? Paleo, Mediterranean – What is the best diet for diabetes? Eating to age well – What do the longest living people eat? 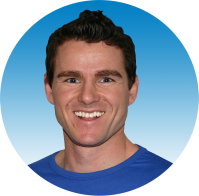 Matt, Pennie and Tim will answer additional questions and discuss low-carb topics that are posted by webinar attendees and appear on social media. The speakers will also quiz each other on their presentations, perspectives and their predictions about low-carb diets being a fad or the future. Pennie is also a private practitioner with over 10 years’ experience and is the founding director of EvolvME, a multi-disciplinary weight management clinic that delivers supervised lower carbohydrate dietary patterns to a range of clients. Her PhD is investigating strategies to optimise glucose variability, appetite responses and feeding behaviour in type 2 diabetics using a low carbohydrate dietary pattern. 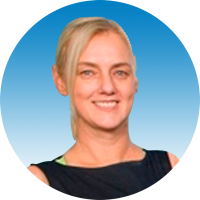 Pennie also works with CSIRO as a senior research dietitian supporting dietary trials that investigate dietary composition on health outcomes, including very low carbohydrate diets. 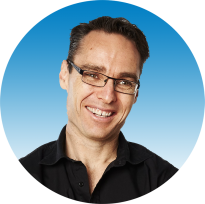 Tim is an Associate Professor in Nutrition at Deakin University and an Advanced Accredited Practising Dietitian. He teaches and researches in the areas of nutritional physiology and biochemistry as well as the applied role of nutrition in disease prevention and management, particularly obesity, diabetes and cancer. Tim has an active media profile together with a growing social media following through his blog Thinking Nutrition, which provides the public with important nutrition messages in easy to understand language. The live webinar will be delivered to your desktop, laptop, tablet or phone via GoToWebinar. You’ll see the speakers’ visuals, hear them speaking and be able to type in questions and enter comments. Due to anticipated numbers attending, we won’t be able to take verbal questions during the webinar. If you know how GoToWebinar works, easy. An invite to register for the live webinar will be sent from two weeks before the event. If you are new to online webinars, using the software is straight forward as you'll see in this video. We’ll send you how-to instructions one week before the event. You can also download the webinar & resources after the event. There's no need to miss out if you are in a different time zone or cannot attend live. Tickets are non-refundable. If you purchase a $20 ticket (live + recorded) and do not attend the live event, you will be provided with the recorded webinar, slide notes, and web links within 7 days of the live event. If you purchase a $15 ticket and do not attend, you will be offered the recorded event for a $5 upgrade fee.